This Half Eagle gold coin is one of the most unique ever struck by the U.S. Mint. 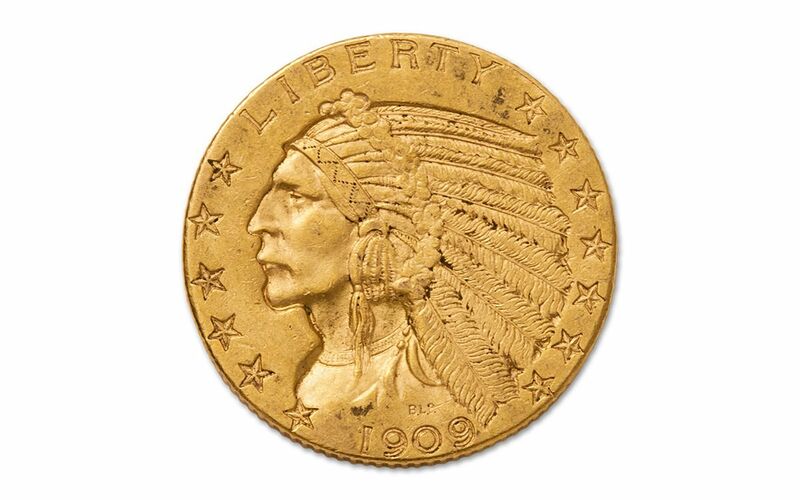 Because they featured incuse designs struck into the metal versus raised above the surface, the $5 Gold Indian coins were one of the most intriguing U.S. coins ever issued. Struck from 1908 to 1929, dates vary. The coin features a proud Native American and stoic American Bald Eagle. 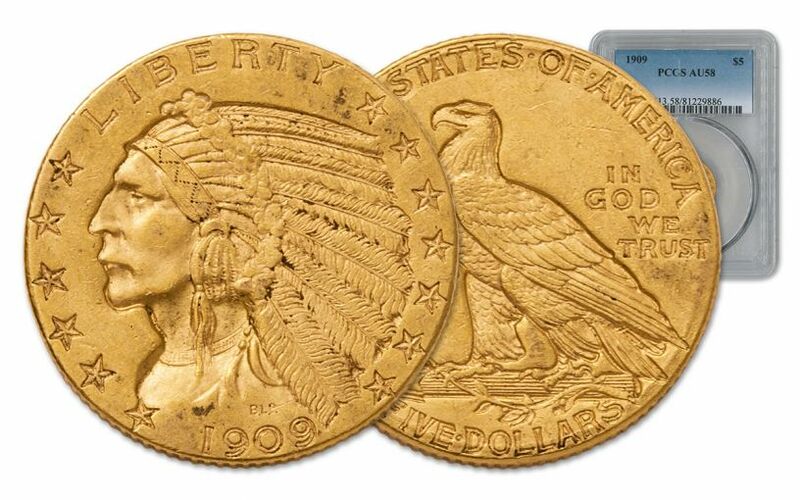 Though tough to find today, you can add this classic vintage Gold Half Eagle to your collection right now graded About Uncirculated 58 (AU58) by Numismatic Guaranty Corporation (NGC) or Professional Coin Grading Service (PCGS). Coins Struck Between 1908 and 1929-- You will receive one of the historic coins, the date is our choice. 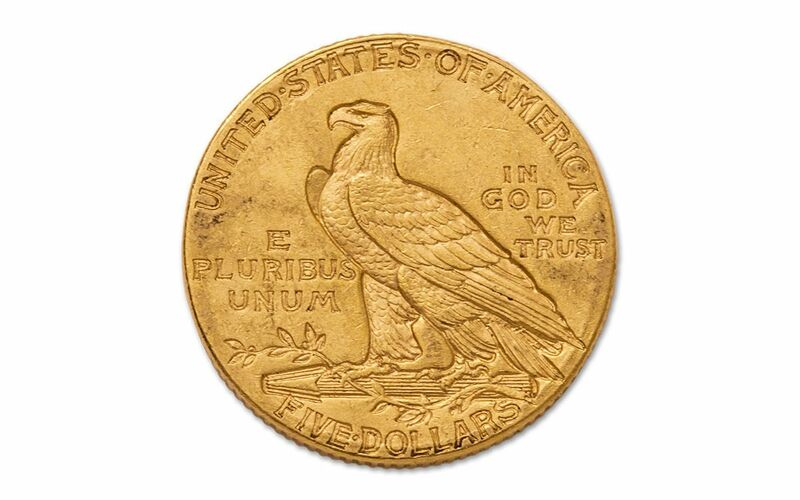 This $5 Gold Half Eagle was minted between 1908 and 1929. It's one of only two incuse coins ever minted for circulation and it's the last design Gold Half Eagle from the U.S. Mint. 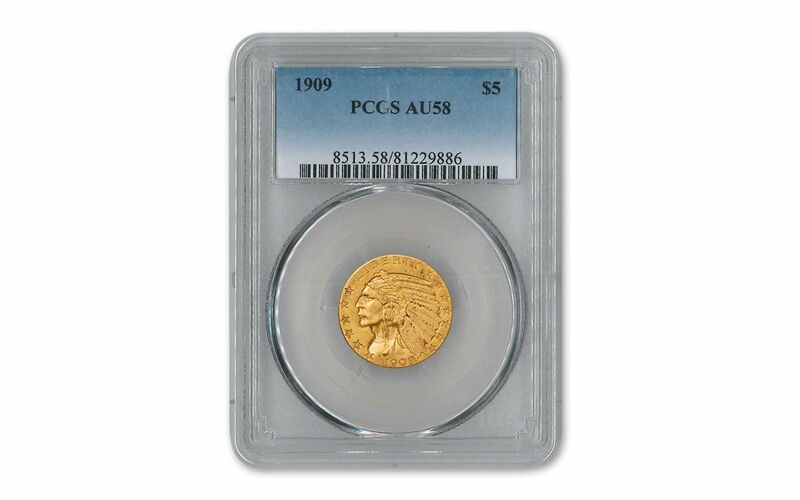 Because these coins circulated heavily, finding one so close to the condition it was in the day it left the mint makes this $5 Gold Indian coin a real prize, and a great addition to your collection as an individual coin.